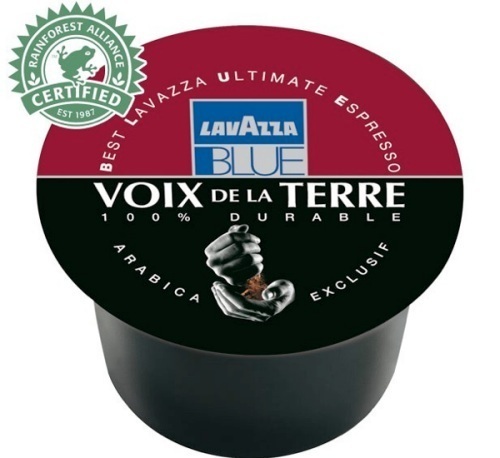 Pack of 600 Lavazza BLUE Espresso VOIX DE LA TERRE 100% Arabica capsules, compatible with Lavazza BLUE machines. An excellent 100% Arabica coffee created exclusively with environmentally friendly coffees coming from 3 communities of growers in Honduras, Peru and Colombia. Free delivery!